This initiative proposed by the New Mexico Judiciary does two things. First, it gives courts of record the ability to deny bail when it is shown by clear and convincing evidence that a defendant charged with a felony is a danger to others or the community. Second, it provides that non-dangerous defendants cannot be detained pre-trial solely because they the lack financial resources to post a cash or surety bond. 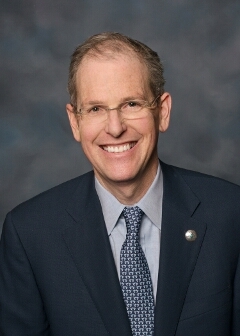 Senator Sander Rue (R-Albq.) and I are the sponsors. Senator Linda Lopez (D-Albq.) and Senator Bill Payne (R-Albq.) have signed on as co-sponsors. The Joint Resolution is supported by the NM District Attorneys' Association, the NM Criminal Defense Lawyers' Association, the Courts, the NM ACLU, the NM Domestic Violence Coalition and the Criminal Justice Subcommittee of the NM Association of Counties. It will be opposed by the bail industry. The U.S. Supreme Court's decision in Citizens United dramatically changed the campaign landscape in New Mexico. "Super PACs" can now spend unlimited money on elections with no requirement that they disclose donors. We cannot limit the contribution amounts but we can require disclosure of donors. SB 11 requires donor disclosure and makes clear that these entities cannot "coordinate" with political candidates or political parties. It is sponsored with Rep. Jim Smith (R. Sandia Park). This bill addresses constitutional problems with New Mexico's public financing statute for Public Regulation Commission and appellate court races. It replaces a second monetary "match" which is unconstitutional with a way for candidates to receive $100.00 contributions in addition to the upfront public financing. The bill also makes it clear that candidates using public financing cannot pay themselves or their immediate family with public money. For the past eleven years, I have carried legislation to create a corporate tax system in New Mexico that is fair to local businesses. This year, SB 22 changes the way intangible personal property and services are taxed. Rather than allocate all the tax to the home state, the tax will be apportioned where the services are provided. This will help New Mexico businesses by ensuring that out of state corporations competing against them are paying their share of the corporate tax. The bill is sponsored with Rep. Jason Harper (R. Rio Rancho) Chair of the House Ways and Means Committee. It has been a challenging year on many fronts. But as we pause year-end, it is important to remember all the reasons to be thankful. I certainly appreciate the incredible opportunity to represent Senate District 25.